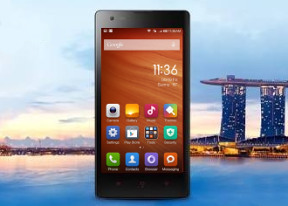 The Xiaomi Redmi 1S runs on the poplar mid-range chipset Snapdragon 400 with a quad-core 1.6 GHz Cortex-A7 processor, Adreno 305 GPU and a lowly 1GB of RAM. It runs on Android 4.3 Jelly Bean skinned with MIUI v5. Once the MIUI v.6 based on Android 4.4 KitKat arrives we expect the a minor bump in the benchmarks scores. First off, we focus on the CPU and overall benchmarks we have in our arsenal. GeekBench 3 shows the Xiaomi Redmi 1S as a great performer on par with the fastest S400-powered phone - HTC Desire 816. The Redmi 1S has better scores than the rest of the S400 gang, but that's understandable as it CPU has a faster clock (1.6GHz vs 1.4GHz). The compound AnTuTu 5 shows a mediocre result, on par with the S400-running Xperia M2 Aqua and way below the phones featuring more powerful chipsets. Basemark OS II gives an overall CPU score and breaks down the single and multi-core performance of smartphones. The overall performance is really uninspiring even though the Redmi 1S did an excellent job handling the Android OS and some popular games. The Cortex-A7 cores inside the Snapdragon 400 of the Xiaomi Redmi 1S did a decent job when performing alone, but rather poor output when working together. Moving on to graphics-intensive tests. GFXBench offers the T-Rex and the latest Manhattan tests, both in off-screen and on-screen versions. The Manhattan utilizes OpenGL ES 3 that was made available since Android 4.3 Jelly Bean release. Unfortunately the Xiaomi Redmi 1S couldn’t run the Manhattan benchmarks as it always ran out of memory. Adreno 305 is too low-powered to show any serious framerates even on the T-Rex tests - it did poor on both the 1080p off-screen benchmark and the 720p on-screen run. The Snapdragon 400 seems to be the maker's favorite chipset when creating midrange devices and it has proven capable enough to handle smartphones with display resolution up to 720p. A better 64-bit version is already available on the market, but we bet the Snapdragon 400 device will stick around for quite a while. And while the Xiaomi Redmi 1S didn't rock the leaderboards, it did an okay job nonetheless and we can hardly complain about its real-world performance.